Political parties will be given access to ballot paper scans and their interpretation by the e-counting machines and will be able to retain them for three months. A proposal by the Electoral Commission to give political parties uncontrolled access to scans of votes cast during the election process has raised fears among some quarters that the data could be misused. 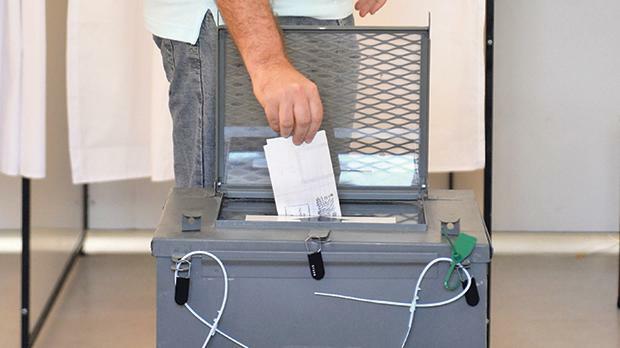 A spokesman for the Office of the Prime Minister told the Times of Malta the proposed amendments to the electoral law were still being studied by the government. It is being proposed, among other things, that political parties will be given access to scans of all valid votes cast, along with their interpretation by the e-counting software. The data can be held by the parties “for verification purposes” for a three-month period, after which it has to be deleted. Invalidated votes will not be given to the parties to “protect voter secrecy”, it is being proposed. A veteran election observer pointed out that what was being proposed meant shifting from a system where votes were held under lock and key by the Electoral Commission to giving political parties unmonitored access to scans of the electorate’s ballot papers. “This opens up the system to corruption. A family on a particular district can all agree on a unique vote preference pattern that is easily distinguishable from a ‘normal’ voting pattern in exchange for money or jobs. “Political parties can then easily verify that the unique, pre-agreed voting preference pattern is adhered to by the family because the scanned votes will also include details about which ballot box they came from,” the observer warned. Sources close to the Electoral Commission said the proposal was supported by delegates of both the Labour and Nationalist parties. Democratic Party leader Godfrey Farrugia told the Times that the present system already gave political parties a clear indication of which party, and even candidate, each street in Malta and Gozo had voted for. The proposed changes, he added, would give valuable additional intelligence to both big political parties that had the experience and the resources to do so. “It is evident that an unspoken, binding agreement exists between the PN and the PL in this regard. They want to elbow third parties out of the political system,” Dr Farrugia said. The Electoral Commission said in a statement last month the new e-counting system that would be used for the upcoming MEP elections in May guaranteed the correct result, reflecting the electorate’s vote. Questions to the commission on why it felt the need to offer the ballot data to political parties for three months remained unanswered at the time of writing. Replying to questions by the Times of Malta, a spokesman for the Data Commissioner played down privacy concerns under the proposed amendments. He said that, save for the names and surnames of the candidates contesting the elections, the ballot papers would not contain any other personal data and could not be linked or otherwise be attributed in any manner to a voter. The spokesman said while in the manual electoral counting process the political party representatives already had access to physical ballot papers and related documents where issues might arise and as set out by law, it followed they would also have a right to see the same ballot papers now saved electronically. “This being the case, no data protection issues should arise and the Commissioner sees no reason why he should be consulted for this specific amendment,” the spokesman said.